Props to the people that do this Whole30 while working full time. So almost another day completed. 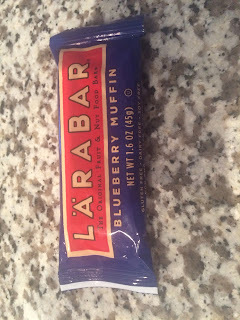 I think this is the most amount of time in years without my peanut butter toast and cream and coffee. Oh, and wine. Sweet wine. This was lunch. 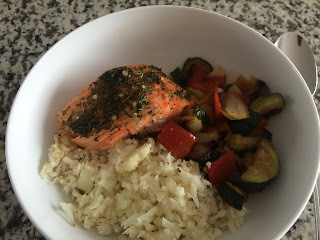 Cauliflower rice, roasted veg and salmon from last night. 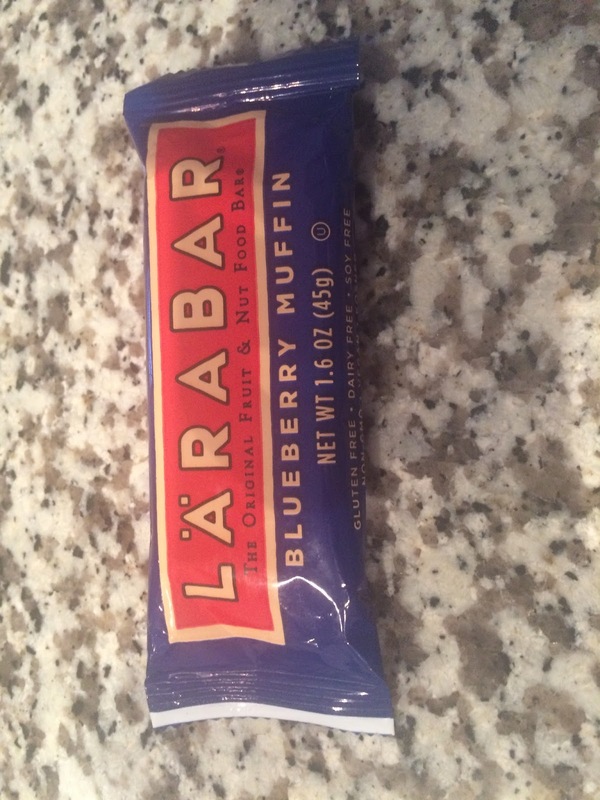 My non-compliant Larabar...also ate some pumpkin seeds. The pumpkin seeds are proving to be an excellent 'stand in' for chips. I LOVE crunch and miss my rice chips and sweet potato chips so the seeds are actually quite good. 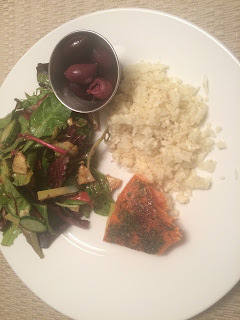 Dinner....more salmon and cauliflower rice, tossed salad and some olives. So far, the Whole30 hasn't been too hard. I really do miss my coffee/toast in the morning and my wine in the evening. There's been some fatigue (probably due to the lack of sugar in my life) but all in all it's been manageable. It's really been a ton of work to prep so it would be very hard to do while working full time and running the house. Not impossible - just hard. No major changes to speak of yet. After all it is only day 3. But during the first two days I felt my heart beating faster. I googled it (of course) and read something that made sense to me since I was eating VERY little carbs..."it's possible your body has released adrenaline to try to keep your blood glucose up, leading to increased blood pressure". Anyway, it's better today!